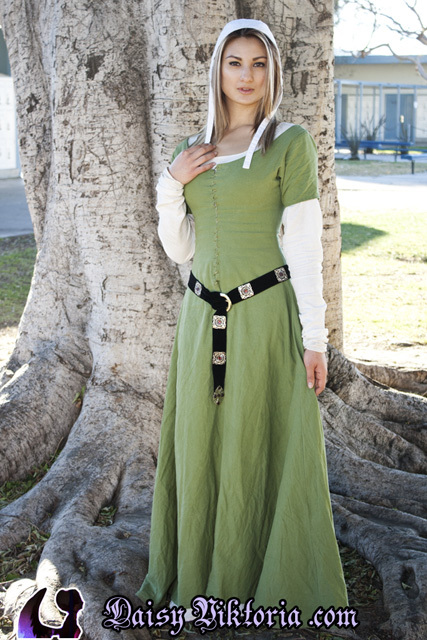 This is a kirtle from the 15th century. 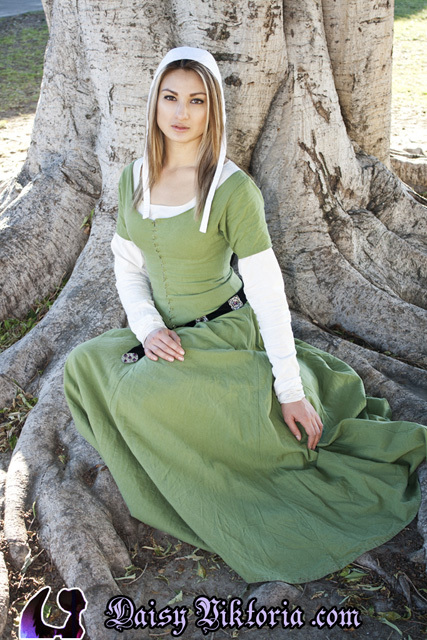 The kirtle is a close-fitting dress that laces up in the front. This particular one was made to go underneath my Burgundian gown, but it is also worn by itself over a white linen underdress. In the last photo, the skirt is pulled up into my belt because the weather was rainy that day, and the ground was very muddy. It is a documented trend, but the dress may be worn either way.